Light Bars is a tool for highlighting the required number of bars. Can be used on any timeframe. 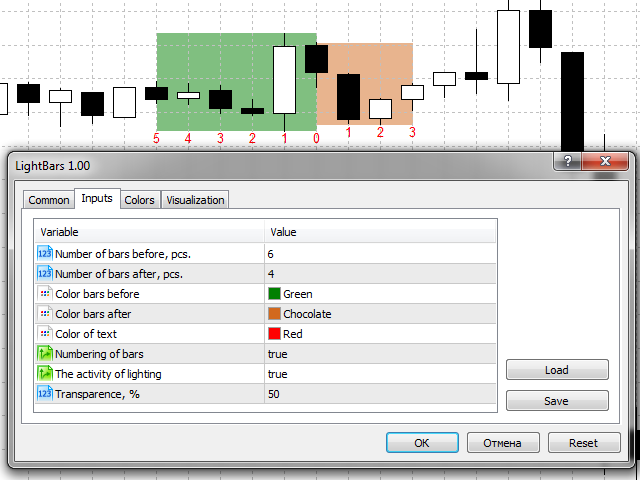 When pressing the left mouse button on the chart, it highlights the number of bars specified in the settings. The color of highlighting is set in the settings. The lower border of highlighting corresponds to the lowest price for a specified period, the top border is at the highest price. The highlighted bars can be numbered. The minimum number of highlighted bars is 2. If the required number of bars is not available in on the chart, highlighting is not applied. If you set the indicator parameter "The activity of lighting" to "false" - the highlighting will not respond to mouse clicks and becomes static. If you set the indicator parameter "Numbering of bars" to "false", numbering of highlighted bars will be disabled. 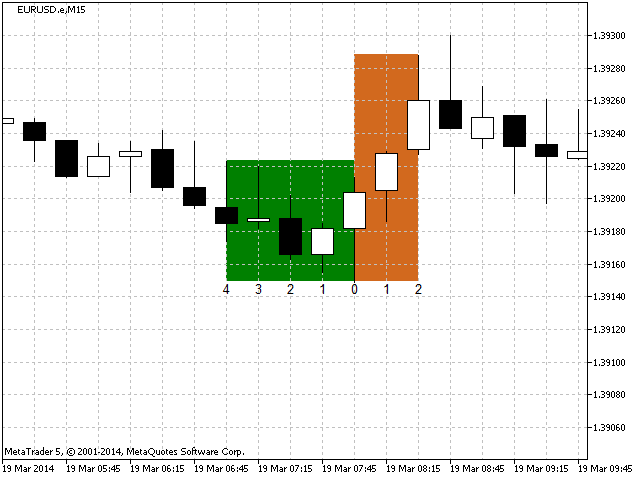 Highlighting disappears when you remove the indicator from the chart. Your comments and suggestions in the "Comments" tab will be appreciated! Fixed slow operation of the indicator when working with a deeper history.